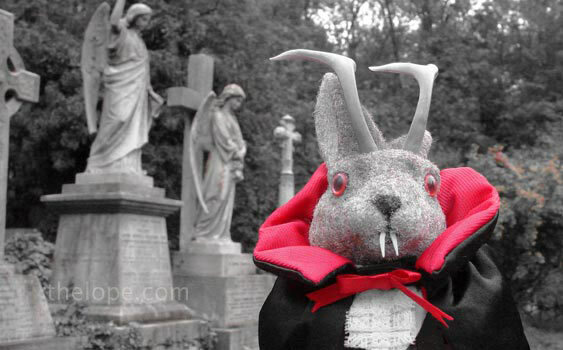 Although yesterday was the anniversary of Elvis' death, I found myself in more of a Dracula mood. 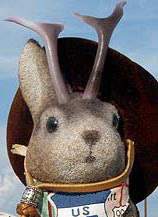 Maybe the intense heat of this summer has me longing for Fall and, by close connection, Halloween and all of its attendant movie-watching. Or maybe it is because I've been taking morning walks in a cemetery. 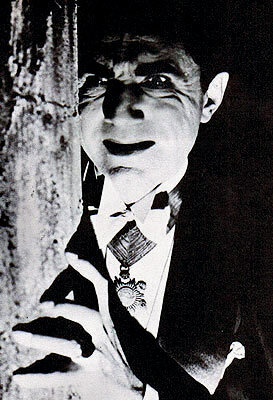 Whatever the case, I wanted to salute Bela, undead these 51 years and a day. 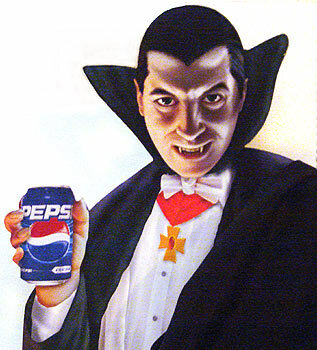 Undead in the sense that the image of the count which he brought us through Tod Browning's 1931 "Dracula" is hard-wired into our cultural subconscious, whether it be on Count Chocula boxes or Pepsi ads. 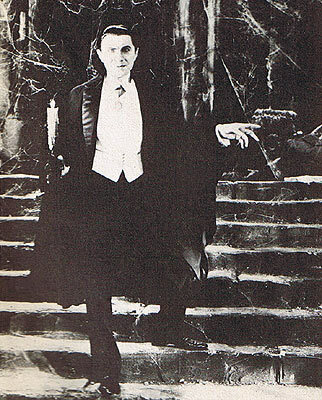 I should mention that there once was a bit of friction between the Lugosi estate and Universal Studios, which is one reason many Universal-licenced Draculas (can I say "Draculae"?) don't look like Lugosi. 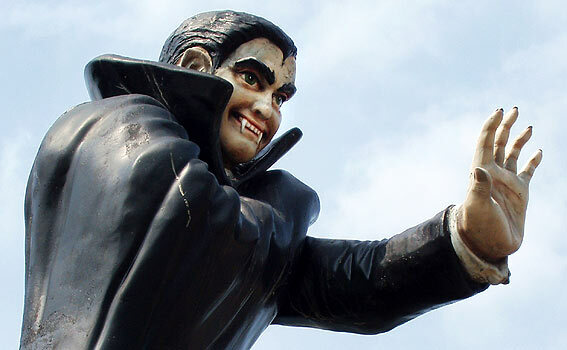 Haunted Trails miniature golf on Route 66 in Joliet, Illinois, features a Dracula that looks like Lugosi filtered through Eddie Munster. 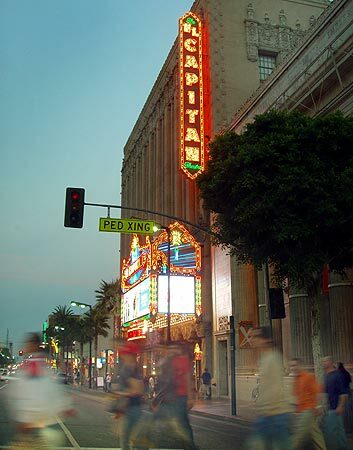 Ghostly pedestrians time exposed past the El Capitan theatre in Hollywood two years ago. 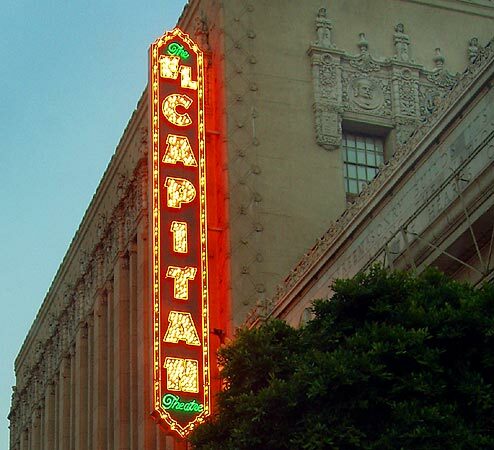 I made sure I shot the El Capitan because, decades ago, it was the site of a fund-raiser held for Lugosi, hospitalized to kick a pain-killer habit at the time. He is credited with being the first high-profile case of a celebrity admitting to a prescription pain-killer habit and seeking treatment. Too bad Elvis didn't do that. The occasion of the fund-raiser was the premier of the Ed Wood film, "Bride of the Monster", according to a very enjoyable column from the LA Times. 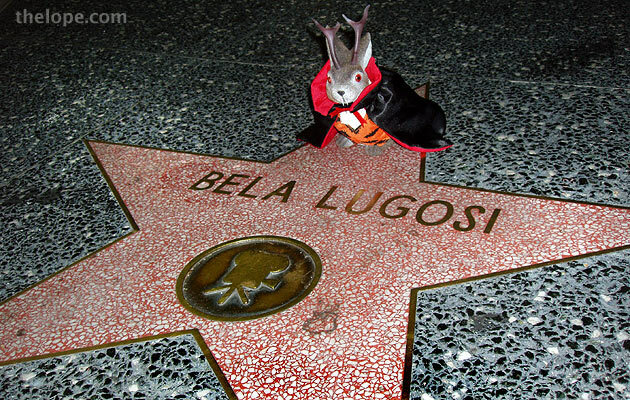 Yes, Bela had done some pretty bad movies in his post-Dracula days. Only Son of Frankenstein, The Raven and The Black Cat stick out in my memory as watchable. Despite the deliciously menacing role as Igor in Son of Frankenstein, he just never got away from the type-casting of Dracula, a role he seems to have cemented by being buried, at his request, in his Dracula cape. One little tidbit I've read in multiple sources was an account by Vincent Price of attending Bela's funeral with Peter Lorre. According to Price, Lorre, when viewing the body quipped, "Do you think we should drive a stake through his heart just in case?" My own familiarity with the actor stems from countless Friday nights spent staying up way too late (what were my parents thinking?) all alone, fixed in my chair with cathode ray super glue watching "Dimension 16", the local Friday night double-feature on Joplin's channel 16 (sponsored by Watt's Paint - 35 years later and I remember that..advertising works). Of course, readings several years of "Famous Monsters of Filmland" didn't hurt, either. And for a few years my favorite book was "A Pictorial History of Horror Movies" by Dennis Gifford, from which the two Bela as Dracula images on this page were scanned. 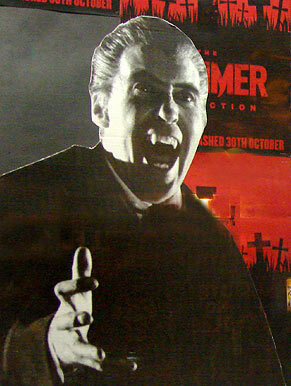 Although Christopher Lee became Britain's Dracula, he reportedly wore one of Bela's rings in the role. I'd love to see some documentation on that. We, the children of Dimension 16 and all the late night horror shows salute you in our own ways. Hi, Ron Enderland, webmaster at I Remember JFK (irememberjfk.com). I'm putting together tomorrow's column about Saturday night horror movies in the days before SNL, and I found your site by searching for Dimension 16 and Joplin. Love your Lugosi tribute. I'll bet you've seen Ed Wood ten times. Pop into my site tomorrow and check out my column.